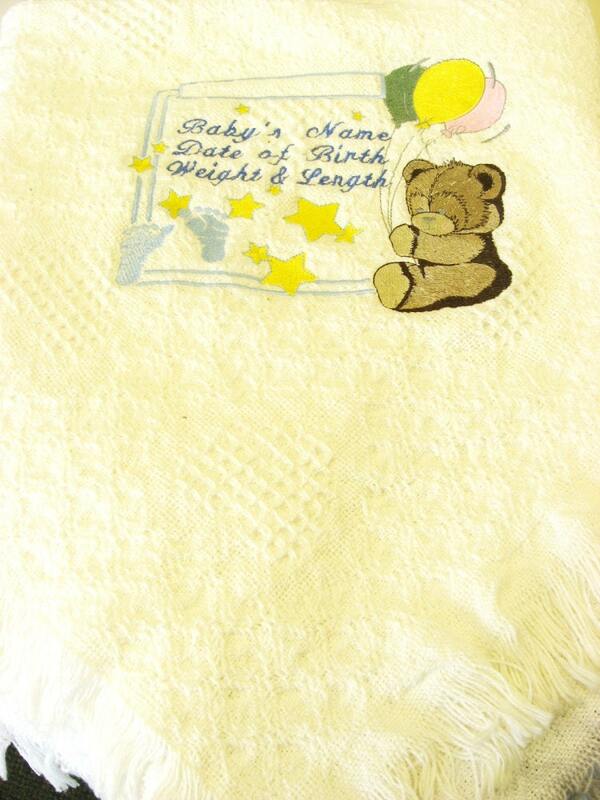 Celebrate the arrival of a new baby with a beautiful honeycomb heart throw. The throw is available in white or natural. It is 100% cotton, double layered, and measures 36” X 48”. It is a wonderful way to decorate the nursery and display your little one's name. 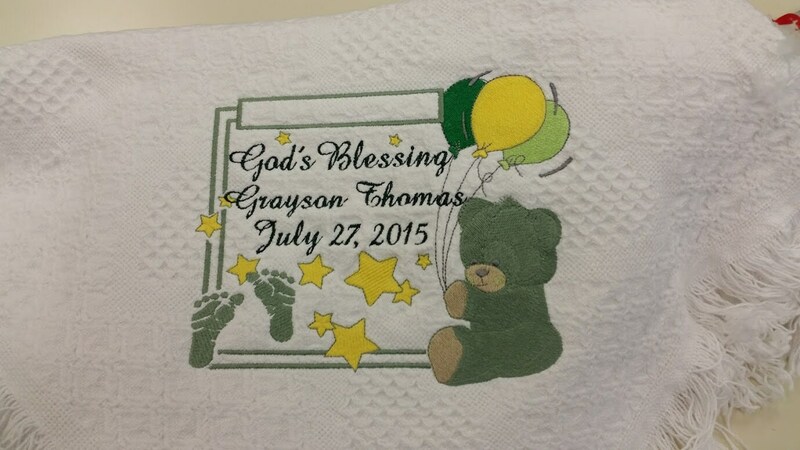 The first design is a kiwi green teddy bear holding yellow and green balloons with text God's Blessing, baby's name and birth date. 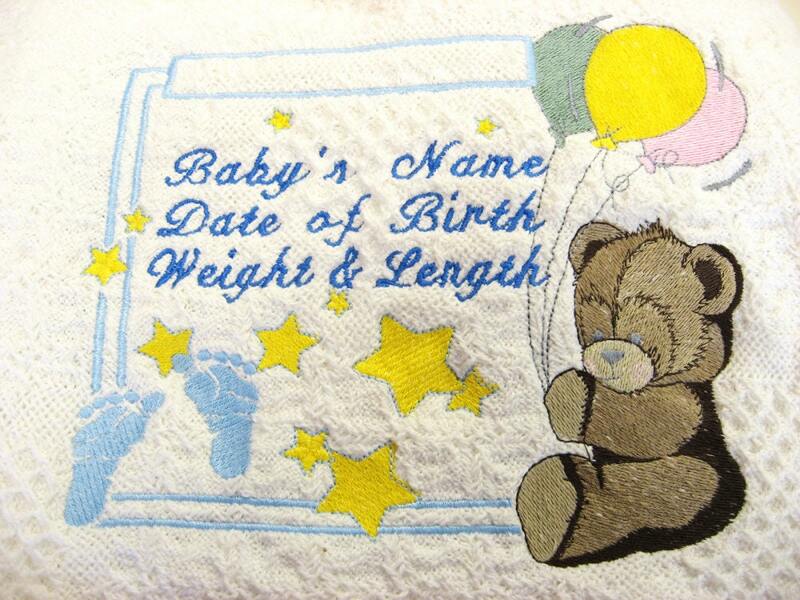 The second design is a brown teddy bear holding balloons with a square border to showcase the baby’s name, birthdate, weight and length measurements. The border and feet shown are sewn in pastel blue. The stars are yellow and the lettering is done in a medium blue. 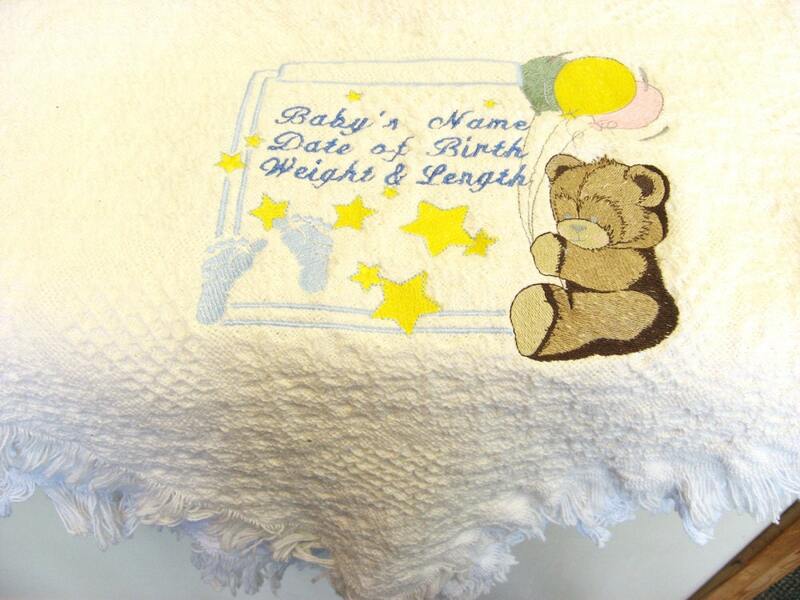 Provide the baby’s name, birthdate, and weight/height measurements in the buyer's note below or we can customize it to what you want on it….please make sure the spelling is correct before you submit it. Great to work with and very kind! Product awesome!